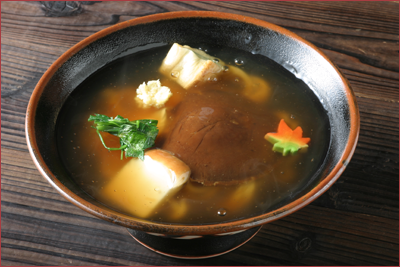 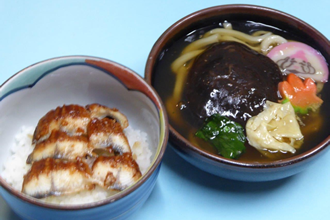 Noppei-udon (A Nagahama speciality): Momijiya’s Noppei-udon is a thick starchy soup consisting of a big shiitake mushroom, fish paste, yuba, fu, and minced ginger, which will definitely warm up your body. 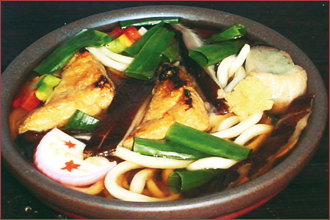 The noodles are handmade and during the making process, silk powder is added. 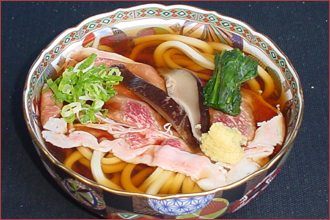 This silk contains many kinds of amino acids, which are great for your health. 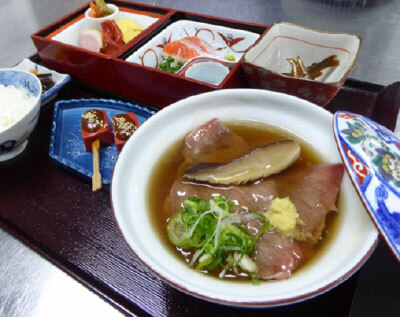 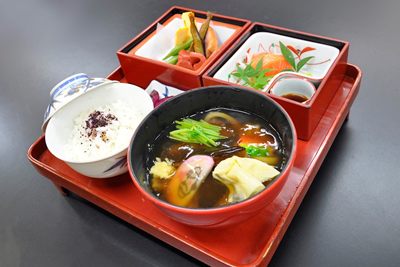 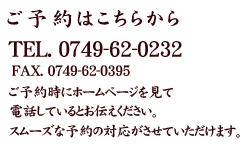 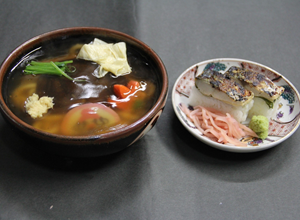 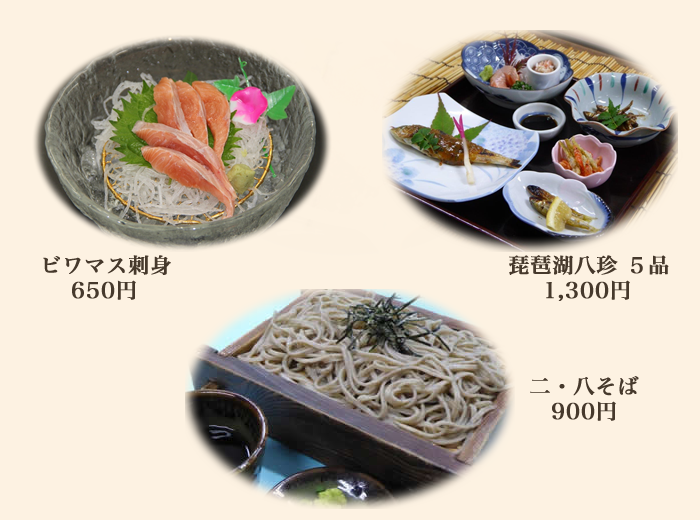 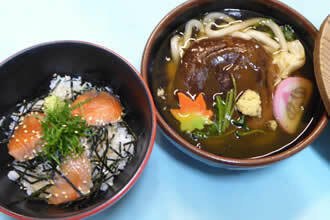 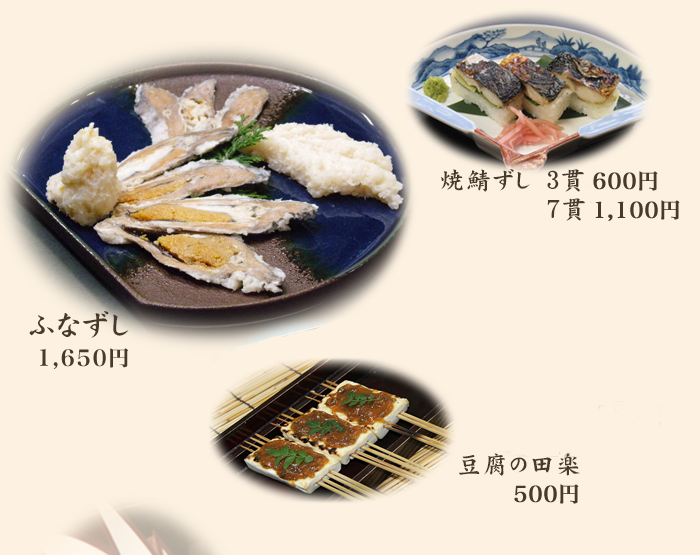 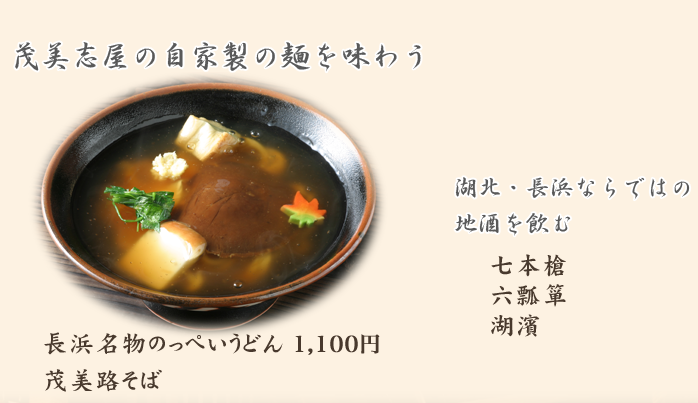 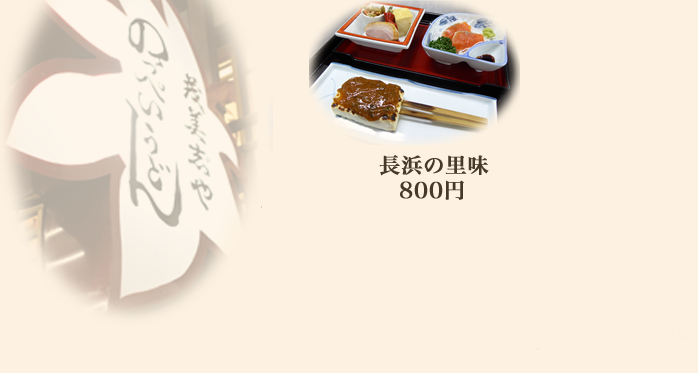 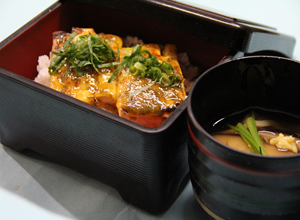 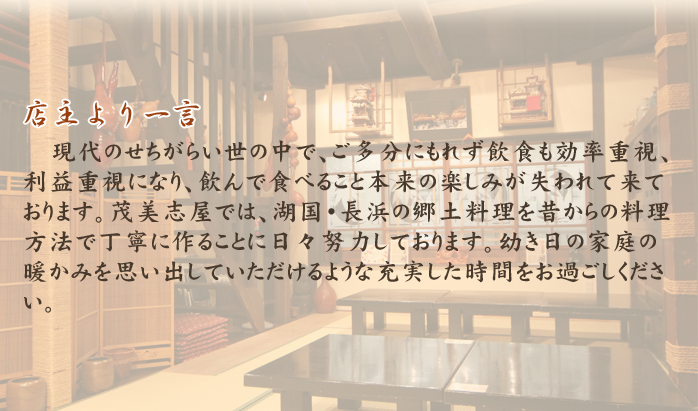 Enjoy Momijiya Noppei-udon for only 1,100yen!